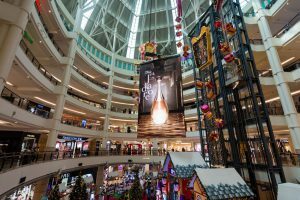 Suria KLCC Shopping Mall in Malaysia is an impressive six-story shopping experience located at the foot of the famous Petronas Twin Towers in the Kuala Lumpur city centre. 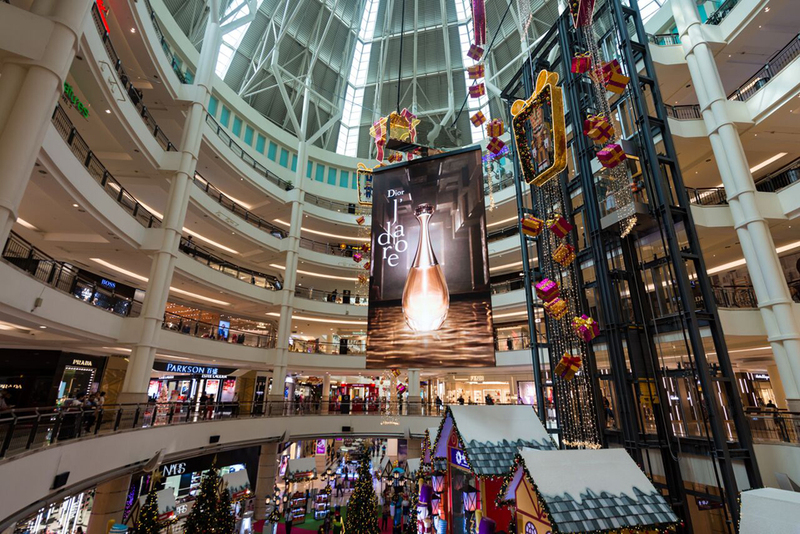 Built in 1999, it quickly became not only the talk of the town, but one of the most spectacular shopping malls in the world, featuring a concert hall, an oceanarium, an art gallery, and a children’s science discovery centre. 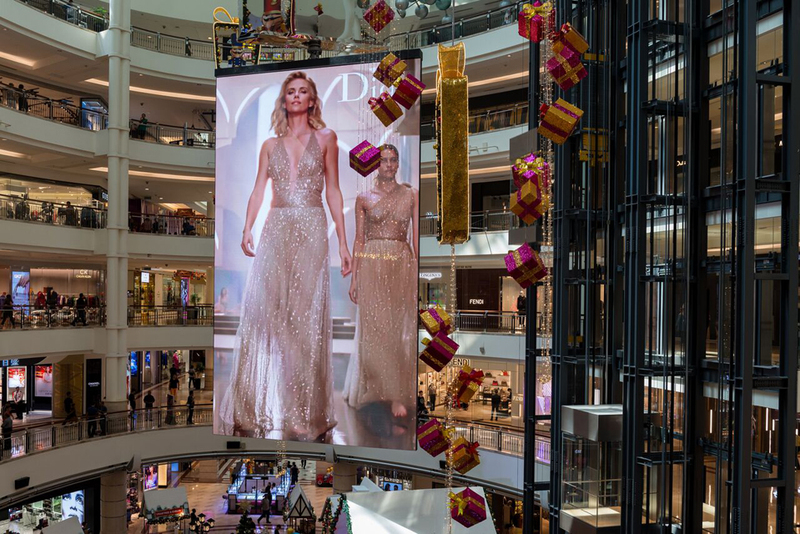 And recently added to this impressive list of attractions is the world’s largest double-sided LED display courtesy of NanoLumens, award-winning creators of uniquely compelling interactive LED visualization solutions. 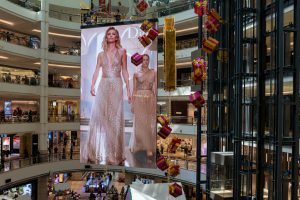 The company’s first-ever installation in Malaysia features a 19-by-33.5-foot Performance Series LED 4.7mm double-sided display that rotates 359-degrees, uniquely showcasing many of the mall’s upscale consumer brands such as Gucci, Chanel, Calvin Klein, Christian Dior, Ralph Lauren, and Apple. 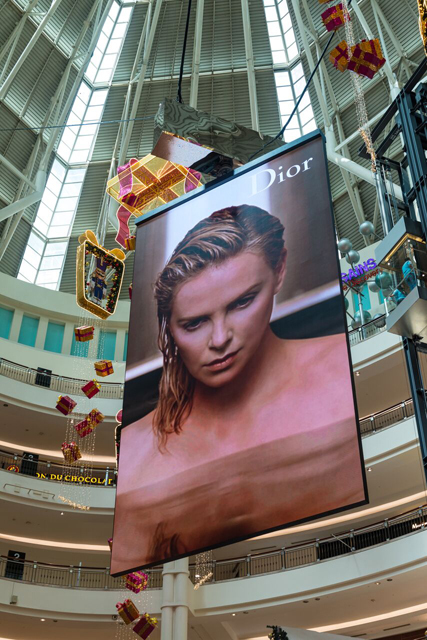 Discussions for this project actually began back in 2016 as Suria KLCC began engaging with NanoLumens after seeing their dazzling installation in neighboring Singapore’s Changi Airport that features two state-of-the-art NanoLumens Performance Series LED displays—one of which is an “Immersive Wall” that is approximately 230-by-16 feet with a 6mm pixel pitch and is one of the largest indoor airport displays in the world. Quality was a key factor as well, Merlino stressed, as dealing with content from such upscale brands meant colors had to be spot on. And with a rotating display the images were going to be viewed from a wide variety of angles, making that aspect even more important. 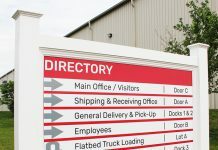 Many household brand names would now not only have a new, high-quality advertising vehicle on which to display their product, but a hoist system would also be installed, allowing the display to be lowered to the floor for product demonstrations and branding events. 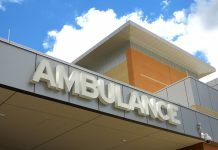 The NanoLumens Performance Series LED displays, at just over three inches deep, create corners like no one else on the market and are available in any size, with pixel pitches ranging from 3mm to 9mm. The lightweight design of the Performance Series LED display also allows for quick and safe installation, requiring very little lead time, and that was most certainly the case at this extremely busy mall. Click here to watch the NanoLumens Performance Series LED display in action. EWSB is a Hi-Tech engineering-based company, specializing in LED Facade Lighting and LED Display Boards. The company serves a wide and growing range of businesses, including retail stores, restaurants, hotels, universities, and media companies. EWSB has a range of experience in design, supply, install, service, and maintenance of LED display boards and LED Facade Lighting. For more information, visit https://ewsb.com/my/index.html. Headquartered in Atlanta, Georgia, NanoLumens partners with clients to create uniquely compelling, interactive LED visualization solutions that take the guesswork out of owning a display network. 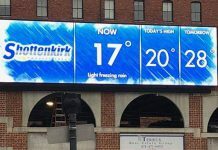 As the fastest growing visualization company in the U.S., the company’s experiential LED displays exceed the imaginations of global clients in retail, transportation, corporate, gaming, higher education, sports and arenas, and houses of worship. Through world-class proprietary technology, NanoLumens displays are ultra-thin and lightweight, energy efficient, and available in any size, shape, or curvature. NanoLumens solutions are proudly designed and assembled in the United States of America and come backed by an industry-leading six-year warranty. For more information, visit www.nanolumens.com.